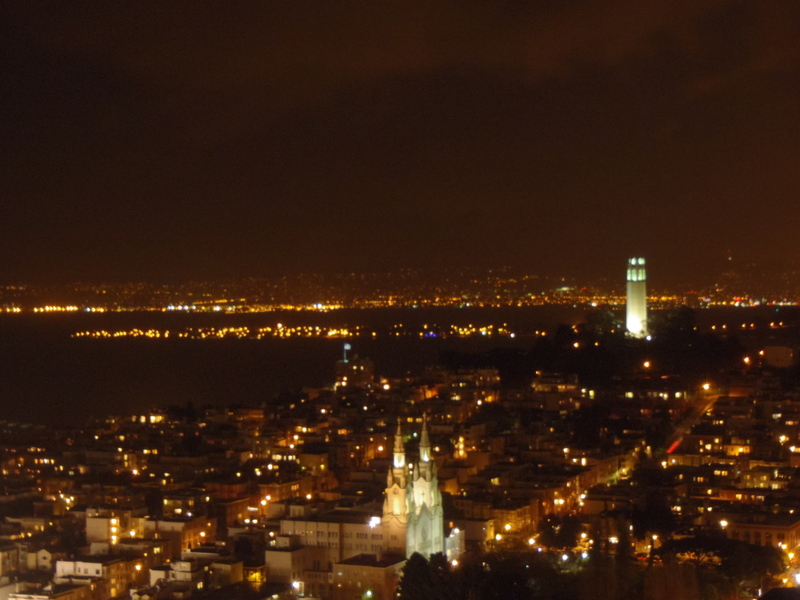 San Francisco at 8:15 PM, fifteen minute before Earth Hour. Tonight San Francisco observed "Earth Hour", an international celebration of freezing in the dark. Or something. 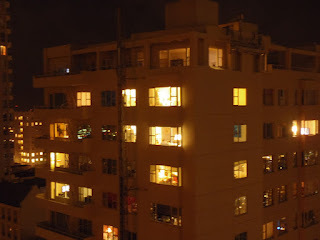 During the hour of 8:30 - 9:30 PM local time, people all over the world turned off unnecessary lights. 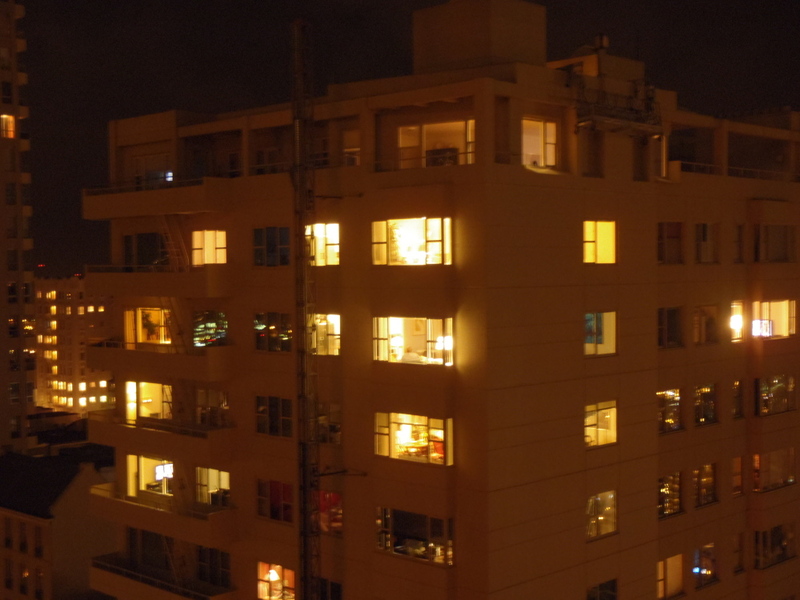 Then, at 9:31 PM, people all over the world turned all their unnecessary lights back on. These pictures were taken 45 minutes apart, 15 minutes before and 30 minutes into the Earth Hour event. Was there a difference? In a word, no. I dunno. Perhaps we are just noat as Progressive in the City by the Bay as we think we are. Time to open those reeducation camps? I understand that they did turn off the lights on the Golden Gate Bridge and at City Hall. Now that was something I could get behind. But unfortunately, they turned City Hall lights back on. 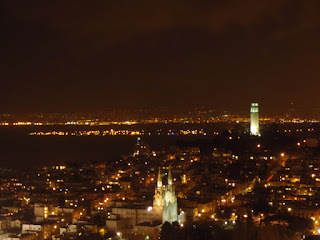 The only difference I noted from here, is that I believe they turned off the lights illuminating the water tower being repaired on Alcatraz, but the revolving spot light stayed on, as did the illuminated Coit Tower. Probably safety related concerns for both landmarks. We wouldn't want boats or airplanes crashing in the dark. I am sure every participant in this event felt good about doing something meaningful to improve the environment. It's kind of environmental "truthiness".